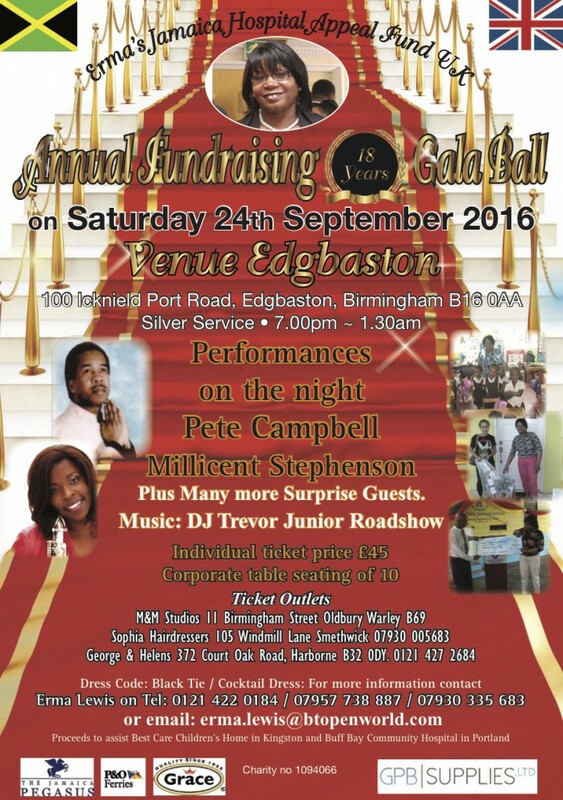 Erma’s Jamaica Hospital Appeal Fund UK cordially invites you to our Annual Fundraising Gala Ball on Saturday 24th September 2016 at The Centennial Centre, 100 Icknield Port Road, Edgbaston, Birmingham B16 0AA. Silver Service ~ 7.00pm ~ 1.30am. Plus many more surprise guests. Music by DJ Trevor Junior Roadshow.